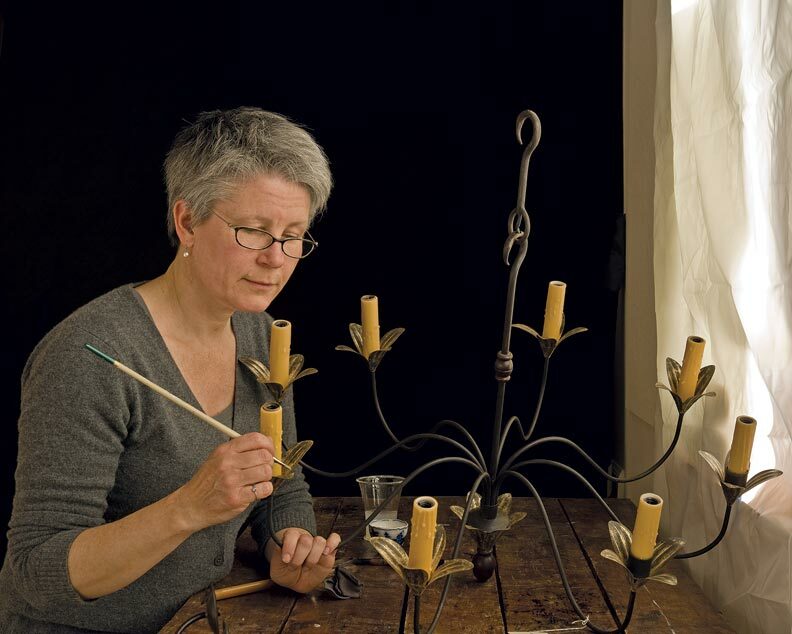 The company has skilled craftspeople such as Roz Cristinson, shown here gilding a fixture by hand, to create one-of-a-kind pieces. It’s not every day you meet people who absolutely love what they do. On those occasions when excitement, knowledge, commitment, and pure joy do come together, great things happen. Those people create a positive ripple effect around them. That’s exactly what it’s like to meet and talk with Jon and Doreen Joslow, the owners of Scofield Historic Lighting in Ivoryton, Connecticut. 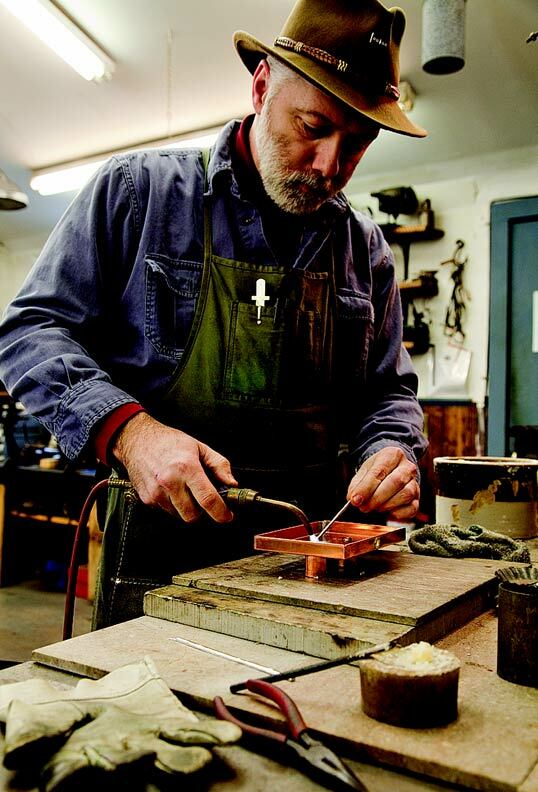 It just so happened that Richard Scofield—a reproduction lighting artisan—had his shop around the corner, and Jon and Doreen found themselves sneaking away to view the new creations like kids in a candy shop. 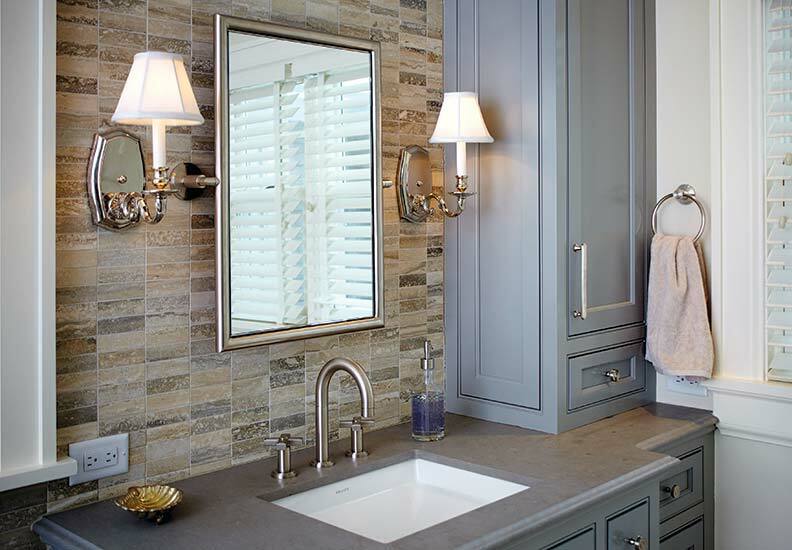 “We always left awestruck by the level of craftsmanship in Richard’s fixtures,” notes Jon. 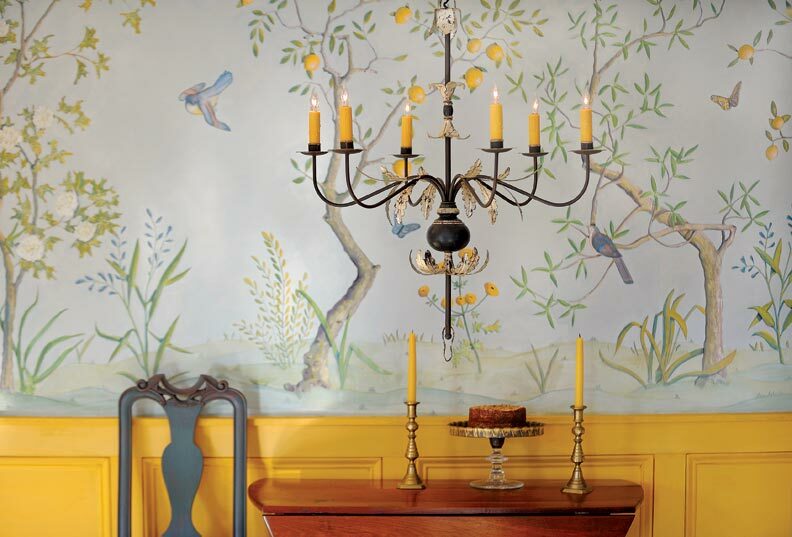 The Acanthus Leaf chandelier has 22-karat gold leaf bands on the wood turning and the leaves. In 1991, Richard Scofield passed and left the business an employee. In 2006, the Joslows purchased the company with the bold vision to continue the legacy Scofield had created. Doreen remembers the first time her mother came to visit their new endeavor. “There were literally thousands of pieces of scrap metal and materials and tools strewn all about the workshop,” she remembers. “My mother turned to us and said, ‘You didn’t buy this, did you?’” Undaunted, Jon tapped an old college friend who happened to specialize in warehouse management and factory production. Within no time, they collectively organized the entire shop’s contents, revamped the product line, and realigned the company’s expediting and shipping process—focusing on more of a custom fabrication operation. 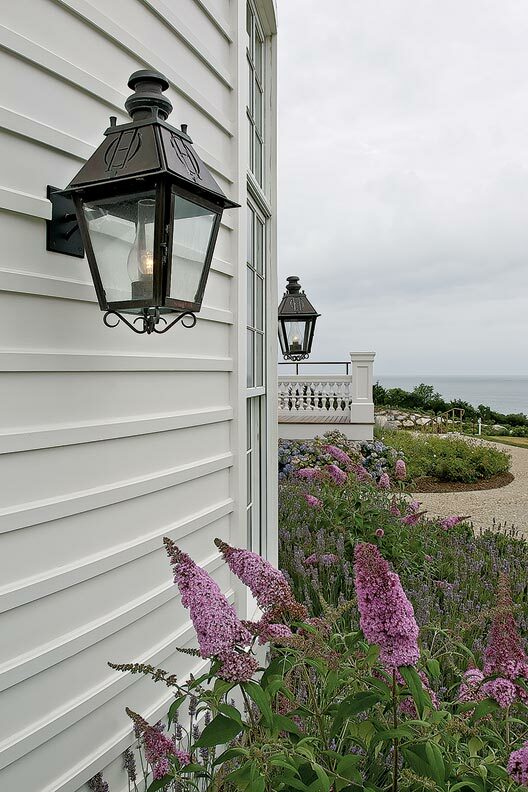 New England Barn lanterns shown in leaded copper add a period touch to the exterior lighting scheme. It takes a village to create the company’s many one-of-a-kind reproductions, and the Joslows are quick to recognize the amazing talents of their employees who hunker down in the back room to make it happen. “Today, we have a whole crew of artisans who are perfectionists at their craft,” says Doreen. 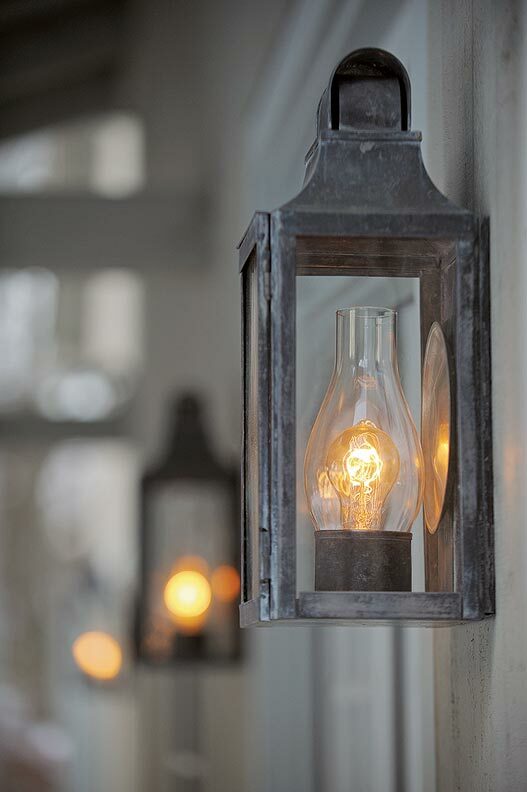 An authentic lantern in a bronze finish offers a more formal look.